The Top 5 Most Influential Real Estate Tech People…Of All Time! With hundreds of millions of dollars now being poured into real estate tech annually, the sector is one of the hottest in the entire tech community. But it wasn’t always that way. Here is our take on the five influencers that paved the way. Perhaps no one else has had a bigger impact on the real estate tech industry than Florence. The founder of CoStar created the first true internet-based business and grew it into the largest, most heavily trafficked site in the industry and a multibillion-dollar market cap. The recent acquisition of Apartments.com is further evidence that Florence is far from done in dominating the real estate information and data industry. Tom Byrne was the former President and Chief Operating Officer of LoopNet. During his 10 years with the company, Byrne (with a special nod to LoopNet Founder Dennis DeAndre) helped steward the company through numerous key milestones including the successful IPO, acquiring and successfully merging seven acquisitions, raising the $50 million PIPE investment, and the eventual sale to Costar for approximately $900 million in 2012. After the Loopnet sale, Tom has become one of the most active and influential VC’s with investments in VTS, Rentlytics, Estately, Lovely and more. If the commercial side has Andy Florence, the residential equivalent would be Spencer Rascoff. 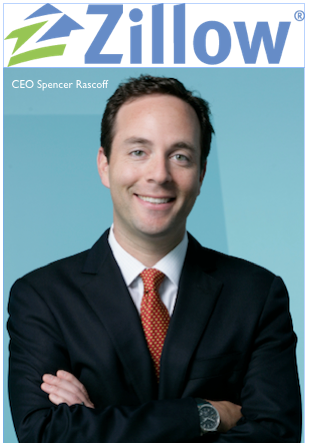 Having joining Zillow in its infancy, Rascoff has helped grow the company to its 2011 IPO and recent merger with Trulia. Zillow has forever changed the nature of residential sales and marketing. Perhaps no one touts (or should we say screams) the need for tech to disrupt the real estate industry more than Duke. He makes us think, laugh, scream and discover, all the while driving home the singular message over and over and over again that the real estate industry must change and adapt in order to survive. He was perhaps the first to challenge the status quo and took a big risk to challenge so many existing fiefdoms. With Joshua running Thrive Capital, which was one of the first VC’s to focus on real estate tech (42Floors, Hightower, Honest Buildings, Compass) and Jared running both the family real estate empire and the Observer, the Kushner brothers have done as much as anyone to invest, promote and scale the real estate tech sector. This is especially true in NYC, which as a result has become the Mecca of the growing sector. Did we miss anyone? Do you agree with our choices? News Funnel would love your feedback.